Leading IT staffing firm TEKsystems has released the results of their new IT survey. 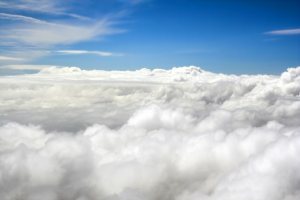 Their Q2 2012 survey of over 1,500 IT leaders, mostly IT managers and directors (77 percent) and IT executives (23 Percent) has found that while 78 percent of IT leaders define the cloud as including web services, 70 percent report that it includes SaaS, 62 percent say it can also refer to external application hosting, and 59 percent feel that it can also refer to Infrastructure-as-a-Service (IaaS). There seems to be some confusion, or at least ambiguity, as to what cloud computing actually is. Regardless of how they define the cloud, most IT leaders are uncertain as to what software applications can be potentially migrated to the cloud. Over 40 percent of participants said that data is the primary application that they would like to see moved to the cloud. Less than one third of respondents showed interest in adapting messaging applications, enterprise portals, conferencing tools, or CRM systems to the cloud.